Alejandro Grimaldo to Arsenal links first appeared on Mundo Deportivo last week. The Spaniard opened the scoring in his side’s 10-0 victory over Nacional on Sunday and Portuguese newspaper A Bola reported on Monday that an official from the London club was spotted at the match. After graduating from Barcelona’s famous academy La Masia, the left-back joined Benfica in 2016 and has been a regular since the start of the last season. This term, the 23-year-old has four goals and five assists to his name in the league, and Tuesday’s edition of Catalan newspaper Mundo Deportivo once again mentions Arsenal interest. 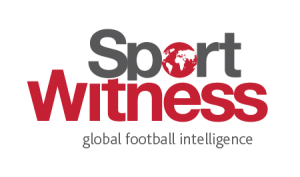 It’s explained that Arsenal and their league rivals Manchester City, along with Atletico Madrid, ‘love’ the player, whose contract with Benfica will run down in 2021. 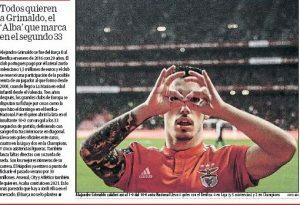 Mundo says Grimaldo is the ‘closest thing to Jordi Alba’ and several big clubs are ‘fighting’ to sign him due to his impressive performances for Benfica. 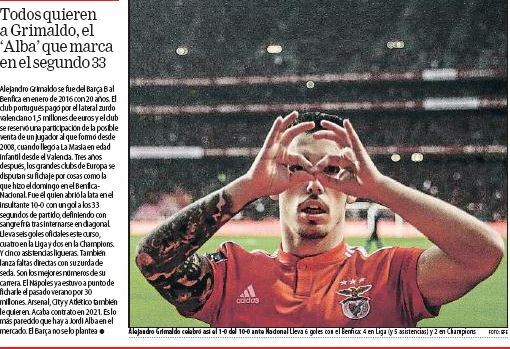 In the previous reports, only Arsenal and Atletico were mentioned and with Manchester City now joining the race, the battle for Grimaldo is likely to intensify.